Writing doesn't just happen - it needs nurturing, stimulation and space to grow. 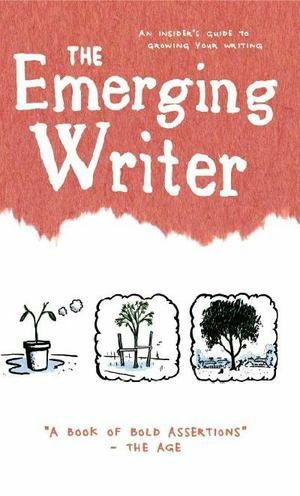 The Emerging Writer is an insider's guide to the craft, philosophy and politics of being a writer. Whether you're facing your first blank page or negotiating a publishing contract, this book is full of indispensable advice for any emerging writer hoping to turn their seedling of an idea into a mighty tree. Inside you'll find information on: Getting paid for your writing; Writing outside of your comfort zone; Creating networks; Finding inspiration; And much, much more! Contributors include: Michael Mohammed Ahmad, Adolfo Aranjuez, Alex Adsett, Khairani Barokka, John Birmingham, Zoe Dattner, Melissa Fagan, Sanjay Fernandes, Stephanie Guest and Anna Heyward, Michelle Heeter, Kelly-Lee Hickey, Andrea Hoff, Holly Hutchinson, Michelle Li, Claire Low, Walter Mason, Gabe McGrath, Nikki McWatters, Lefa Singleton-Norton, Eiley Ormsby, Connor Tomas O'Brien, Zane Pinner, Alice Pung, Elizabeth Redman, Duncan Richardson, Sam Ryan, Penni Russon, Ellena Savage, Edwina Shaw, Sarah Stanton, Laurie Steed, Chris Summers, Shaun Tan, Phoebe Tay, Belinda Weaver, Charlotte Wood.